The Union Home Minister, Shri Rajnath Singh being received on his arrival, in Srinagar, Jammu & Kashmir on June 07, 2018. The Union Home Minister, Shri Rajnath Singh releasing the Jammu and Kashmir Sports Conclave-2018 logo, in Srinagar, Jammu & Kashmir on June 07, 2018. The Chief Minister of Jammu and Kashmir, Ms. Mehbooba Mufti, the Minister of State for Development of North Eastern Region (I/C), Prime Ministers Office, Personnel, Public Grievances & Pensions, Atomic Energy and Space, Dr. Jitendra Singh and the Home Secretary, Shri Rajiv Gauba are also seen. The Union Home Minister, Shri Rajnath Singh presenting the awards to the sportspersons, in Srinagar, Jammu & Kashmir on June 07, 2018. The Chief Minister of Jammu and Kashmir, Ms. Mehbooba Mufti and the Minister of State for Development of North Eastern Region (I/C), Prime Ministers Office, Personnel, Public Grievances & Pensions, Atomic Energy and Space, Dr. Jitendra Singh are also seen. The Union Home Minister, Shri Rajnath Singh addressing the sportspersons and youth of Jammu and Kashmir, in Srinagar on June 07, 2018. 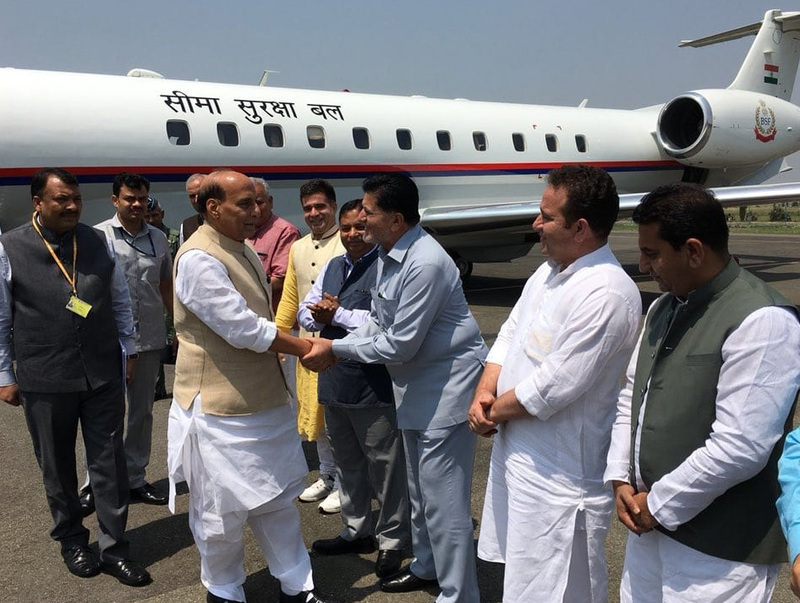 The Union Home Minister Shri Rajnath Singh arrived in Srinagar today on a two-day visit to the state. In his first program, Shri Rajnath Singh attended the sports conclave in Srinagar. More than 3,000 sportsmen, students and enthusiasts from the three regions of Jammu, Kashmir and Ladakh participated. The Chief Minister of Jammu and Kashmir Ms. Mehbooba Mufti andUnion Minister of State (Independent Charge) of the Ministry of Development of North Eastern Region (DoNER), MoS PMO, Personnel, Public Grievances & Pensions, Atomic Energy and Space, Dr Jitendra Singh and Union Home Secretary Shri Rajiv Gauba were also present. 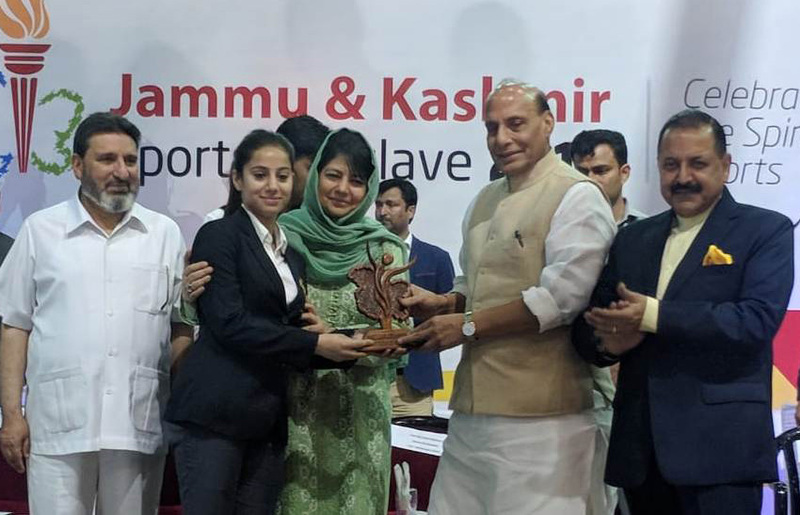 During the event, Shri Rajnath Singh felicitated prominent sports persons: Parvez Rasool (cricket), Manzoor Ahmad Pandav (cricket), Mehraj Uddin Wadoo (football), Real Kashmir Club (football), Ms Palak Kaur (gymnastics) and Ms Balween Kaur (gymnastics). In his address, Shri Rajnath Singh said under PMDP program, Rs 200 crores has been sanctioned for development of sports infrastructure in J&K. Under it, Bakshi stadium renovation work has started with allocation of Rs 44 crores and Maulana Azad stadium in Jammu will be developed at a cost of Rs 40 crores. In all 22 districts of J&K, stadiums are under various stages of development at a cost of Rs 88 crores. Water sports infrastructure is being developed in Mansar and Pahalgam at a cost of Rs 6 crores. 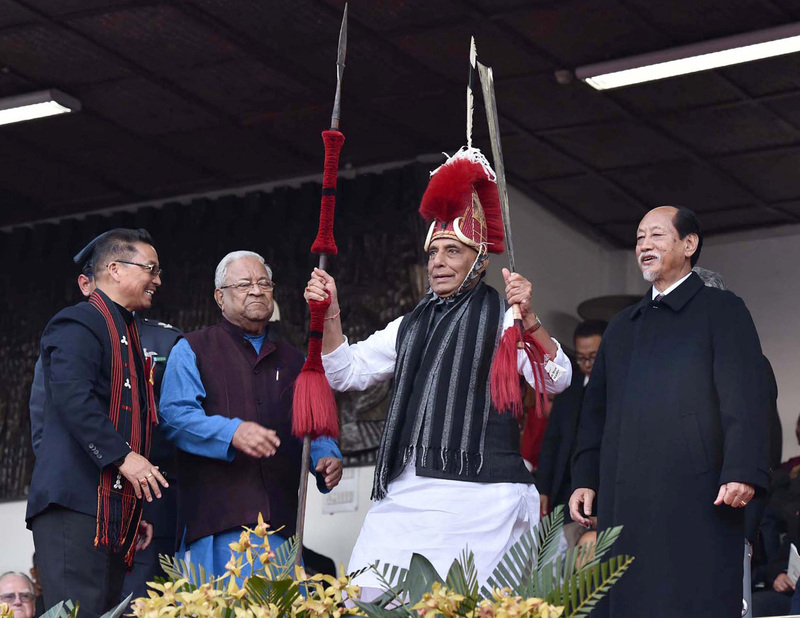 Shri Rajnath Singh told the youth that future of not only Jammu and Kashmir, but also the country is in their hands. He said “ummid ka ujala” can happen only with “sports ki karamat” and “taleem ki taqat”. The Home Minister assured that future of J&K youth has always been safeguarded by India and it will remain so in future. Some forces have been trying for many years to mislead the J&K youth. Those forces have no interest in their future. Youth of J&K have same role and contribution in India’s growth and progress just as youth of any other state, he said. He appealed to them to choose development (taraqi) and not destruction (tabahi). If you choose development, state will develop, he said. Please join this development chain and herald in a new dawn in Jammu and Kashmir, he added.